Do you ever find yourself getting lost in YouTube Tutorials? Bit of a course junkie? Looking for a better way to build and grow your business online? I’ve worked in the Digital industry for over a decade and even I was getting lost in all the information available so I did some research. A simple Google search for ‘how to marketing your business online’ returned millions of results. Another search for Digital Marketing Courses showed me prices ranging from $25 to $1,200 per month on subscription. Why? Just why? Why and when had it all become so complicated, and bloody expensive! Out of pure frustration I wrote the book. It’s starts with planning your journey; will your idea work, how to research when you have no audience, finding your ideal client and then testing your new found research to uncover pain points that you can address with your content marketing. Each chapter ends with action steps so you can start putting your new skills into practice straightaway. Once the basics are covered it then moves on to explain the different kind of audiences (P.E.A) and how to target them to build know, like and trust and build relationships that go beyond page likes and social shares. Then we hit the most important step – how to generate actual £££’s not just links! We delve into creating free lead magnets, landing pages and email nurturing sequences that turns subscribers into buyers and raving fans. Basically, I’ve made the book into a pocket size Google that you can keep on your desk and refer back to time and again. If you’ve previously invested in courses and got nowhere – buy this book. if you’ve spent hours searching for the right steps to take to build a landing page – buy this book. If you’re overwhelmed and frustrated – YOU NEED THIS BOOK! 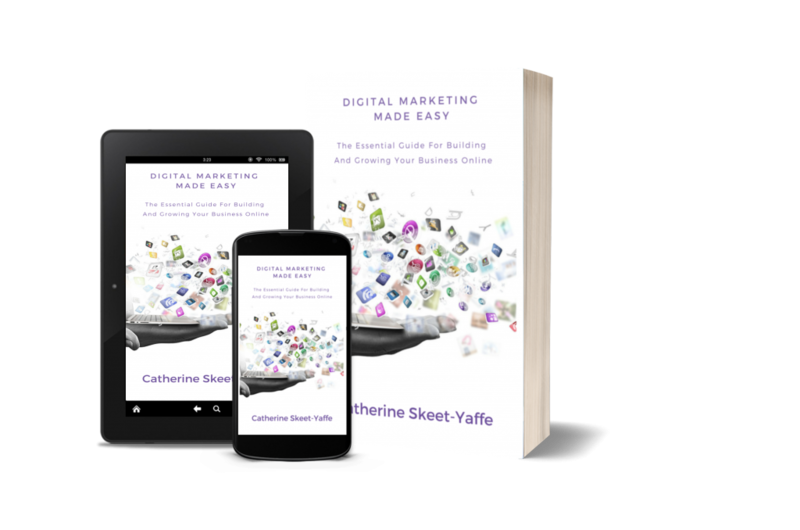 If your boss doesn’t see the value in online marketing, buy them this book! If you run (or are) the marketing team, buy this book. Oh, and it’s PACKED with FREE STUFF! In this course I walk and talk you through creating a robust sales funnel that takes you through every step you need to launch a product or service, start your email list and the best bit? RINSE AND REPEAT! You only need to learn these steps once and you can use them again and again whenever you’re launching something new. Are you ready to UP level your business, increase your leads and sales?